"Toxemia; constipation, gastritis, indigestion, intestinal gas, amoebas, parasites; fatigue, skin sore, and infections," from Rosita Arvigo's Ethnobotany of Belize. 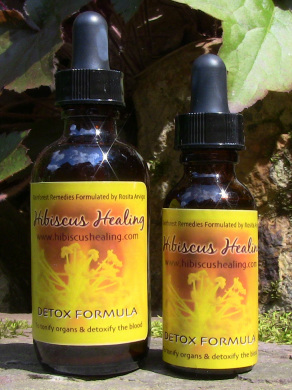 This blends of herbs is a powerful addition to any body cleanse. Taken two or three times a day during the cleanse will tonify organs and detoxify the blood. *Not to be taken during pregnancy or while nursing. Safe for children over 1 in smaller doses. Chicoloro, Billy Webb, Jackass Bitters, and Guaco. Blog Post on Cleansing & Detoxifying Your Organs.